WADA’s decision came with a warning: Fool us again, and we can bar you from the Olympics. 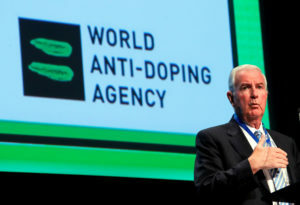 But the acquisition of the data is what WADA was after when it made the disputed decision in September, and that’s what it got. The chair of WADA’s compliance review committee, Jonathan Taylor, made it plain that if any evidence has been tampered with, the committee will meet “without delay” to review the facts and can propose consequences that could include Russia’s ouster from next year’s Olympics.